Welcome to my ECG VIDEO Blog! The user-friendly URL of this site = www.videoecg.com. 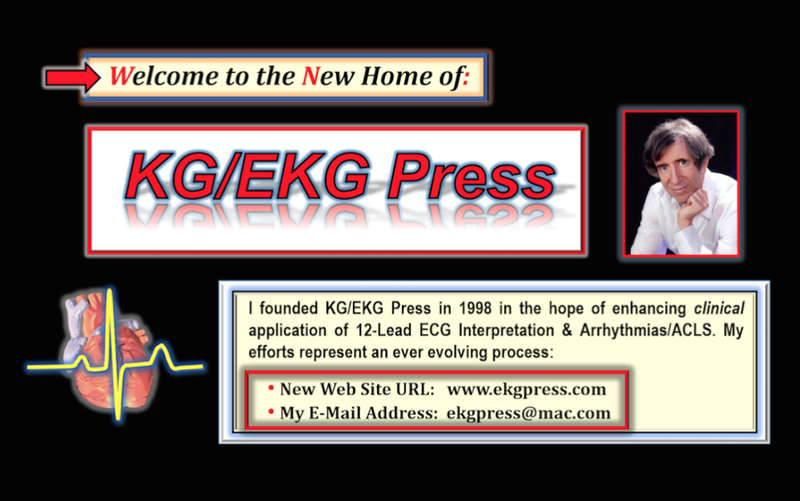 My goal is to put into video key concepts from my ECG Blog (www.blogecg.com). Video Blog #1 (ECG Blog #95) — Arrhythmias; AV block. Video Blog #2 (ECG Blog #96) — Bundle Branch Block (Note: I've made an easy-to-remember link for this = www.bbbecg.com). Video Blog #3 (ECG Blog #97) — SVT with marked ST Depression. Video Blog #4 (ECG Blog #98) — A Clinical Look at Arrhythmia Management in Primary Care (Part 1). Video Blog #5 (ECG Blog #99) — Clinical Look at Arrhythmia Mgmt (Part 2). Video Blog #6 (ECG Blog #100) — Clinical Look at Arrhythmia Mgmt (Part 3). GO TO - www.aafpecg.com — for additional material on ARRHYTHMIAS. Video Blog #7 (ECG Blog #101) — Wide Tachycardia in a 70-year old woman with Chest Pain. Is this VT? (How certain are you of your diagnosis? ). Addendum to Video-7 ( = ECG Blog #102) — detailed written description of all tracings in Video-7. Video Blog #8 (ECG Blog #105) — Basics of AV BLOCKS. (Note: I've made an easy-to-remember link for this = www.avblockecg.com). ECG Blog #109 (brief video animation of an interesting SVT). Video Blog #9 (ECG Blog #110) — Complete AV Block?/Laddergram Primer. Video Blog #10 (ECG Blog #113) — Rhythm Diagnosis (Part 1). 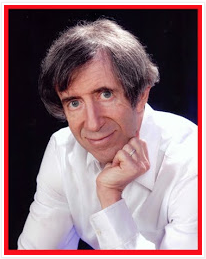 Video Blog #11 (ECG Blog #113) — Rhythm Diagnosis (Part 2). Video Blog #12 (ECG Blog #113) — Rhythm Diagnosis (Part 3). Video Blog #13 (ECG Blog #116) — Axis/Hemiblocks. (Note: I've made an easy-to-remember link for this =www.axisecg.com). Video Blog #14 (ECG Blog #117) — Brugada Syndrome. (Note: I've made an easy-to-remember link for this = www.brugadaecg.com). Video Blog #15 (ECG Blog #118) — Assessing QRST Changes & Systematic Approach. (Note: I've made an easy-to-remember link for this = www.QRSTecg.com). Video Blog #16 (ECG Blog #120) — Chest Pain and Giant T Waves. Download the .ppsx to your computer desktop. The PPT show is without automatic sound. YOU activate onlythe Audio clips you want. Hover your mouse over the highlighted Audio. You may play and/or pause if/as you like. Feel free to use this .ppsx for teaching with my blessings! My Introductory ECG book/ePub (www.ecg1stbook.com). My Advanced ECG book/ePub (www.ecg2014.com). My amazon Author Page (www.kengrauer.com).